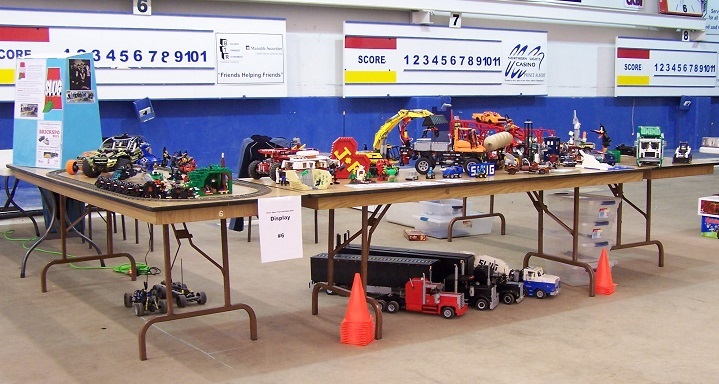 This year's Regina show, temporarily at the Science Center included a number of members: Chris U, Adam, Ley, Scott, Ray M, Trent, Andre, Wes, Karen, Ray J,and Chris W. Our display this year included a 12' x 12' train layout and a number of larger vehicles! This was the second annual show at the Western Development Museum in Moose Jaw. 12 of our talented builders took part in the show, including Ray J, Chris U, Wes, Adam, Scott, Ray M, Trent, Andre, Chris W, Tom, David and Karen as well as two visitors from outside of the group! For our third appearance at this venue, Ray M and Ray J took up many of their wonderous moving (and some non-moving) creations! They showcased three tables worth of MOC's and entertained the crowds with their assortment of Power Functions vehicles! Ray M and Adam attended the Regina Public Library's first Geek Summit; a trade show for non-mainstream hobbies. A handful of creations were on display as well as a slide-show of our previous accomplishments. 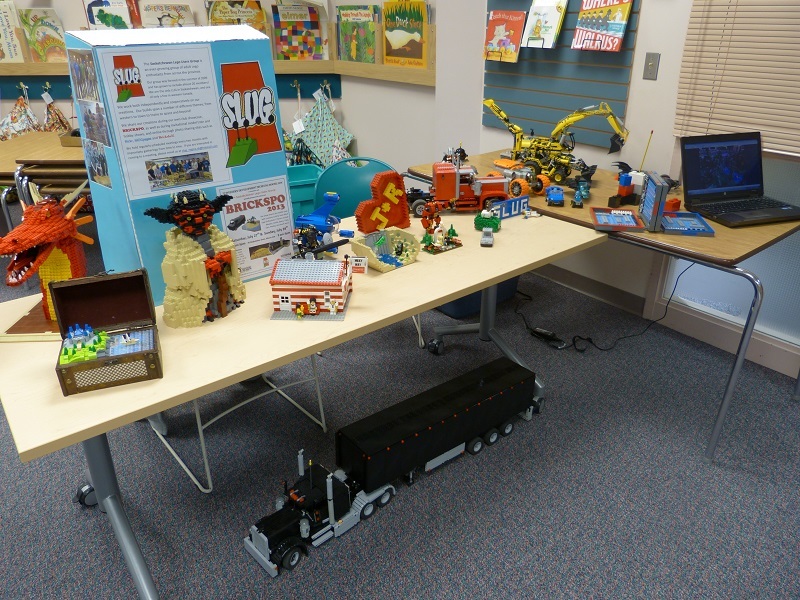 Eight builders helped to create this large series of displays which contained a 40' x 8' train layout, display table and group building challenge. Ray M, Ray J, Scott, Andre, Ley, Linda, Caleb and Adam all took part in the creation of this show.